So We're Hosting The FIBA World Cup In 2023—Now What? After 45 years, the Philippines will be at the center of world basketball once more with our hosting of the FIBA Basketball World Cup in 2023. Together with Japan and Indonesia, Filipinos will witness the greatest basketball talents the world has to offer—but we will have to wait six more years to do so. 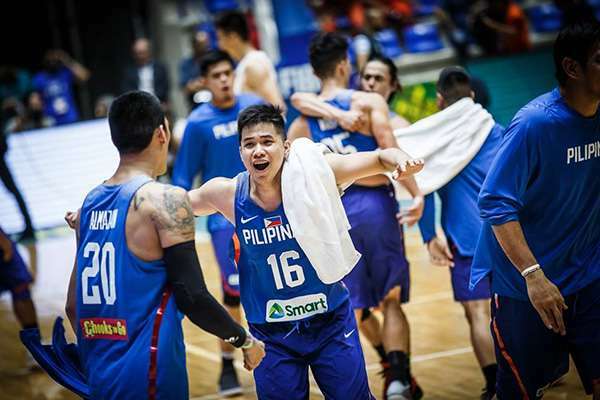 We chart what could happen during the long road ahead as Gilas Pilipinas looks forward to this golden opportunity to showcase our very best. Here's what's inevitable: Once 2023 hits, Jayson Castro and Andray Blatche will be 36. Calvin Abueva will be 34. June Mar Fajardo will be 33. Heck, Lebron James will be 38. None of these dudes will be better in 2023 than they are now. Six long years will bring about injuries, diminished speed, and added weight. That’s more than half a decade of waiting. And chances are slim any of these players can make a significant impact on the campaign, assuming they'll even be invited to don the nation's team colors for one last dance. Castro may no longer be finest point guard by then, since Castro relies heavily on his speed and strength. There’s still a sound argument for keeping him; Jimmy Alapag was 35 when Gilas ended their successful 2013 FIBA Asia Championship run. Sure, Alapag was already shooting a middling 35% from 3PT at the time, as opposed to Jeff Chan’s 48% and Ranidel de Ocampo’s 42%. Castro shot 31% last season in the PBA. But Gilas may still need an honorary leader with experience to steady the team six years from now. Expect Castro to be nothing more than the third guard on the roster. Length always brings value to a basketball court, and June Mar Fajardo is no exception. Fajardo draws a parallel to PBA legend Asi Taulava’s own national career. Taulava averaged 10.3 ppg and 7.1 rpg in arguably his last significant campaign for the nationals. He was 34 then. However, Fajardo’s his back-to-the basket game might be rendered obsolete when 2023 rolls along . World basketball is just faster now, where 6'10" point guards (see Ben Simmons) and blistering offense (see Houston Rockets) rule. Fajardo needs to improve his 1.6 assist rate in order to stimulate a faster, more unpredictable offense for Gilas, not unlike what FIBA Asia legend Hamed Haddadi (32) has been doing for Iran for a while now. Abueva’s recent Gilas campaigns won’t inspire much confidence in his future with the team. 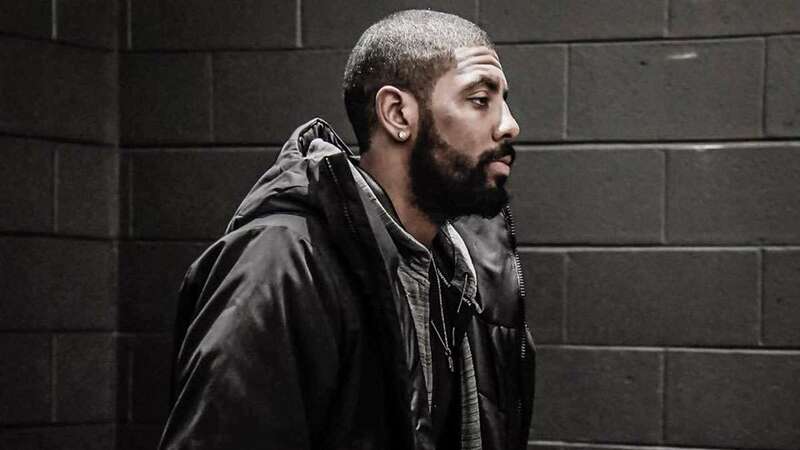 The Beast has struggled mightily scoring consistently for a while now—his rampaging, iso-heavy style doesn’t seem to mesh well with a pass-first, ball-movement heavy international offense, sort of like fitting a square peg in a round hole. It's highly likely today’s stars will have faded in 2023, but all's not lost. Their all-out, all-heart contributions, after all, have ushered a new wave of cagers to take their place—some of whom we’ve already seen this year on TV. Spitfire guard Matthew Wright will be 31 and should be the prime choice for designated gunner. Wright shot a poor 34% as a primary option for the Phoenix Fuel Masters in his PBA rookie year, but he made up for it with a blistering 47% shooting during the FIBA 2017 pocket tournament. Clearly, Wright lights up when playing with more talented people. His shooting should improve further as he gains more experience and should remain consistent unlike players who rely mostly on their athleticism. Roger Pogoy should also be an interesting option for Gilas as a guard off the bench. Pogoy was given significant burn during TNT’s rookie season due to his natural offensive talent and versatility, and will likely be a force once he learns to navigate defenses in the PBA. Other PBA veterans bring less certainty to the table. Troy Rosario has always been regarded as the quintessential national player: a 6’7” wing who can play defense, but his 26% 3PT rate in the PBA is a knock on his reliability. Since his strong TNT debut, Rosario hasn’t been lighting fires since. Terrence Romeo is steadily turning into the Allen Iverson of the Philippines—a high-volume, high-turnover scorer (4.14 TO rate) that can’t seem to translate all that loose energy into winning. Recent trade rumors only intensify popular opinion that Globalport’s confidence on the trigger-happy guard may be wavering. Romeo can be a competent sixth man, but having too many combo guards in the roster may hold Gilas back in rebounding, defense, and playmaking. Once upon a time, Mac Belo dominated the Asian basketball scene by averaging 20 PPG and 7 RPG in the 2016 FIBA Asia Challenge. At 6’5”, Belo was a more fundamentally sound version of Abueva, but a knee injury has slowed down his rise to basketball prominence. 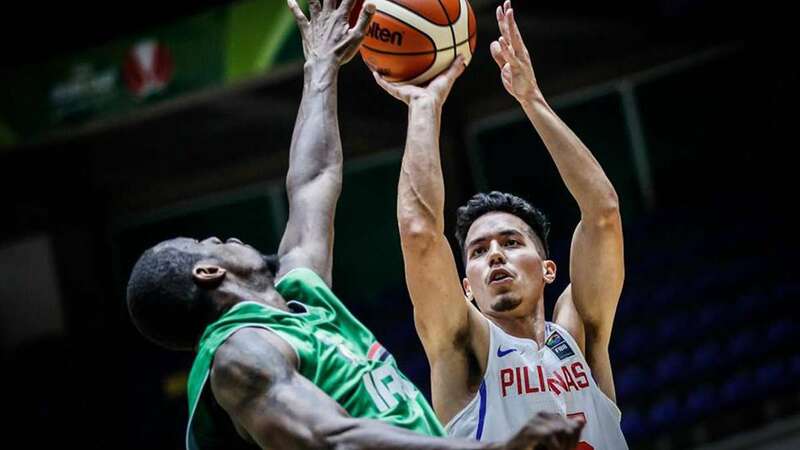 In 2023, a tougher 30-year-old Belo with improved shooting and no-nonsense defense can be the swiss knife that Gilas needs at SF. With the current controversy surrounding the PBA, we won’t even be sure if these players will still be available for the call-up. 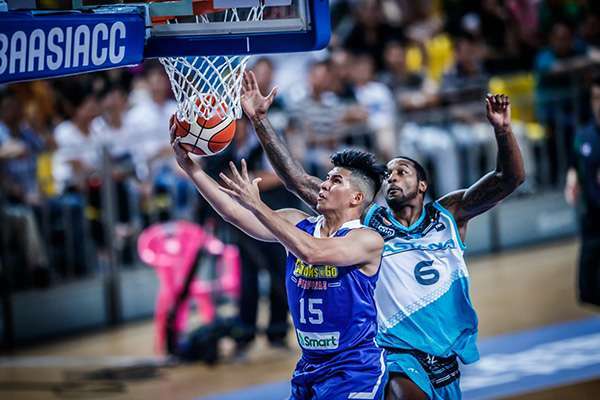 Six years should be a great time for Samahang Basketbol ng Pilipinas (SBP) to re-evaluate the current standards that are either helping or hindering the prospects of picking the best team available for 2023. 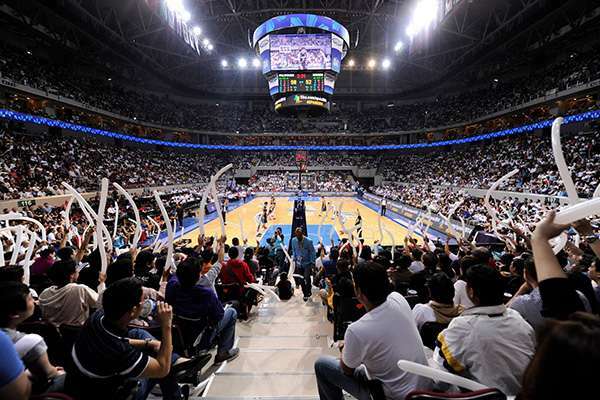 After all, we only get show the world what Philippine basketball is all about once every 40 years. This move could unlock dynamic talents such as Scottie Thompson, who can contribute immediately with his energy and hell-or-high-water rebounding, a more seasoned Baser Amer (who shot an impressive 40% in 3PT in the PBA), a 6’5” Kevin Ferrer, who can both shoot and defend, and perhaps even a final appearance by Marcio Lassiter, who can make his best Dondon Hontiveros impression at 35. If Gilas wants to play fast, then they will need to add youth to its lineup. And boy, do they have it in spades. Kiefer Ravena will be 29 and hopefully well in his prime with a few years of PBA seasoning under his belt. Gilas will need every inch of Kiefer’s athleticism, IQ, and unselfishness to thrive in a new environment. CJ Perez won’t be far behind. “Baby Beast” has actually proven to be a more well-rounded and more offensively gifted player than Abueva, with a steady shooting hand and hard-as-nails physique. Kobe Paras has proven that he isn’t shy attacking the basket—but its obvious that despite his natural tools, Paras can be incredibly raw and unbridled when facing experienced competition. Paras needs every bit of pro experience to transition into a disciplined wing. Recent UAAP rivals can also provide reinforcements: Thirdy Ravena will be 26 and Ricci Rivero will be 25 and should provide a ton of athleticism, while Finals fan fave and 6’7” prospect Isaac Go can assume RDO’s stretch four role at 27 if he can stay in shape for 2023. In the NCAA, San Sebastian Stag Michael Calisaan, and San Beda Red Lion Javee Mocon can provide some frontcourt toughness, similar to what former Gilas standout Raymond Almazan has provided in recent efforts, while Finals MVP Robert Bolick can lend his clutch gene in late game situations. Gilas will have difficulty finding power forwards listed above 6’7” that can really impact the game, though. Most PBA vets simply are neither long nor dynamic enough to play today’s modern 4-spot (see Sonny Thoss). Enter Batang Gilas’s SEABA U16 squad, which featured the winning combination of 6’11” center and basketball unicorn Kai Sotto along with sizeable (but raw) backup towers Raven Cortez and Geo Chiu, both hovering at around 6’7”. Sotto will be 21 in 2023. Perhaps we can even get team captain and current Pinoy Steph Curry Forthsky Padrigao to shoot his signature 30-footers, just to show off. Who knows? We might even see the much lauded 6’9” Fil-Nigerian AJ Edu in action, as well as 6’9” Fil-Aussie Ethan Kirkness, should they decide to commit to the program. Both will be around 20 years old in 2023. Since we’re throwing all the cards on the table, why not call on Jeron Artest—son of basketball force of nature Metta World Peace. The talent is there—we simply need their commitment. The Philippines has a knack for developing basketball talent whatever the era, the trick is finding the right system to unlock each player’s most useful specialty. The problem is, this has always been the Philippines' weakness historically. The most successful teams in FIBA usually have years of experience playing together, and have an unwavering basketball philosophy grounded on good coaching, heady playmaking, and players unafraid to shoot the ball. With six long years to prepare, Gilas can no longer cite “lack of practice” as an excuse for not hitting their tournament targets—now is the time to strive for something higher. Tab Baldwin can once again take the helm and provide the same mentorship he has provided Ateneo in the last two years. Baldwin has been particularly effective in hammering discipline and winning attitude into young talent. 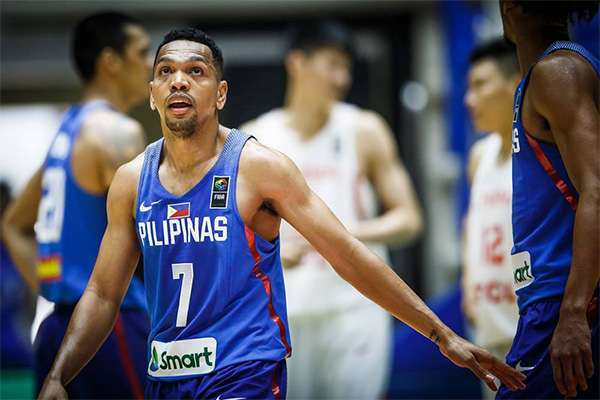 Young coaches Topex Robinson and Jamike Jarin may also develop a fast-and-furious pace, while veterans Eric Altamirano and Nash Racela can provide defensive schemes that have made brought their teams UAAP and PBA success. Gilas also needs to evolve its offense. Kai Sotto may be ready for prime time by then, but he will certainly be facing centers who can shoot from long range and forwards who can handle the ball the way Giannis Antetokounmpo does. Gilas will need to find creative ways to be competitive despite having a natural disadvantage in height. There is a bright light at the end of the tunnel, but can we carve out the obstacles to get there?